So in the past when I’ve had opportunities to travel to exciting locales, you guys have tended to enjoy my posts about those experiences. To this day, my posts detailing my trip to the Paris catacombs, to Munich, and to Wewelsburg Castle still get lots of reads, even though that last one was nearly two years ago. In that spirit, and because I’m just super excited (wouldn’t you be? 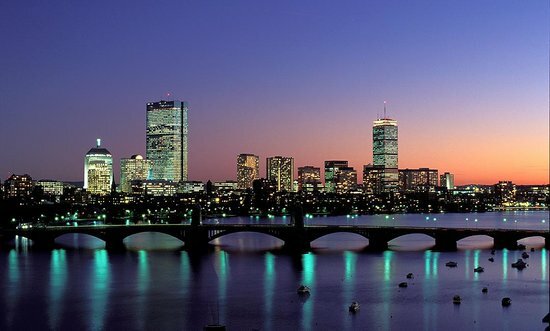 ), I’m happy to announce that next month, I’m heading out to Boston! To be more precise, my dad and I are heading out to Boston for a couple days and nights, with one final night in Fall River about two hours south of Boston. We don’t get to see each other that much these days–we’re both busy adults and have a lot on our plates–so it’s an opportunity to spend some time together, see some cool sights, and remind each other why we don’t live together anymore (it’s always good to have a reminder of that). Now, you’re probably asking, “When are you going to Boston, Rami?” Well, I can’t really tell you that, if only to keep people from trying to rob me while I’m gone. Last thing I want to do is give people an idea of when it’s a good time to make off with my couch and TV. I can tell you some of the things my dad and I plan to do, though: we’ll be visiting Salem, where the famous witch trials took place; we’ll probably take a duckboat tour, which is a tour on a WWII-era vehicle that goes on both land and sea; we’ll be visiting the Museum of Fine Arts, which will be having a very interesting exhibition involving the Holocaust while we’re in town; and we’ll be spending all three nights in reportedly haunted hotels (I bought a digital recorder just to see if I can pick up some ghost voices while I’m on my trip). Our last night, we’ll be spending the night at the Lizzie Borden Bed & Breakfast in Fall River, which is on one of my lists of haunted places I really want to visit. Yeah, I’m going to be very busy and having a lot of fun while my dad and I are in Boston. And I plan on telling as many stories and posting as many photos as I can. That’s all for now, my Followers of Fear. If you have recommendations for places to eat in Boston (especially places with kosher/vegetarian/fish dishes), please let me know so my dad and I won’t have to search so hard for a place to eat. Until next time, pleasant nightmares! Salem is such an awesome place! I don’t know if you watch Buzzfeed Unsolved, but those guys went there for the last season and it was really fun to watch. I actually read a lot about that history and the witch trials. Hope you have fun! I saw their episode on the Lizzie Borden place. My dad and I will be staying in Lizzie’s room. And hopefully highly active when it comes to ghosts. Awesome!! I hope you have a great time! I admit, that’s one nice thing about living with a herd of people – I can say “I’ll be gone X date but everyone else will still be here, so good luck on robbing me – they’re more violent than I am!” LOL! Yeah, but I’ve tried living with others. We usually end up trying to kill each other. I work in Boston, so I had to read this post. When I first saw the word “Fall River” I thought, why they hell would they go out of their way – there are so many other awesome places… but then found Lizzy Borden’s house. Whew! That saved the article – haahaa. Glad you had a great time here. And Lizzie Borden was great, the highlight of the trip, but there are a few other things to check out in Fall River. Battleship Cove, for instance, was definitely worth seeing.